Nicholsons offers a highly qualified team of landscape construction specialists who can build many forms of garden to your specifications. Please contact our contracting team for more info. Our construction teams work closely with both our in-house design team and many other renowned designers. We collaborate to finalise plans and set up projects, giving the customer a seamless and effective journey. 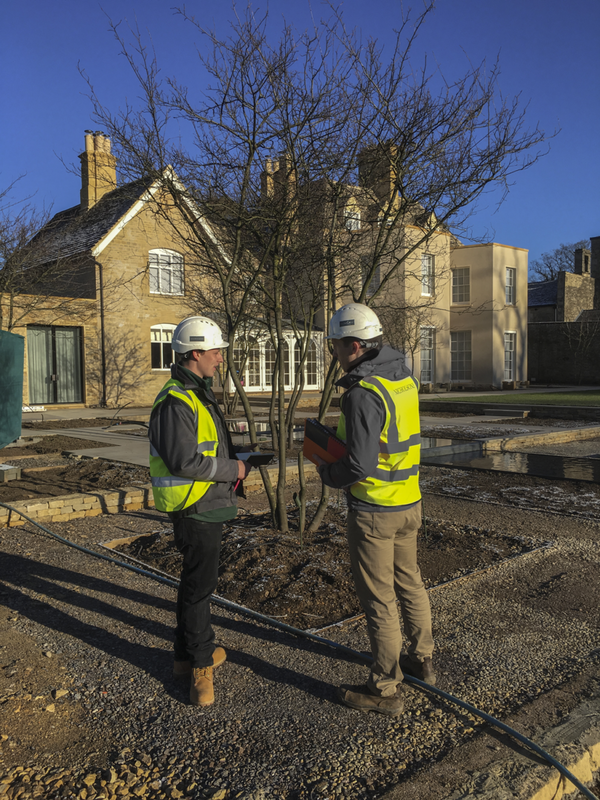 Our team of professional contracts managers lead our landscape construction specialists to execute the highest level of craftsmanship. Our ethos is being kind, hard working and striving for excellence in all we do. 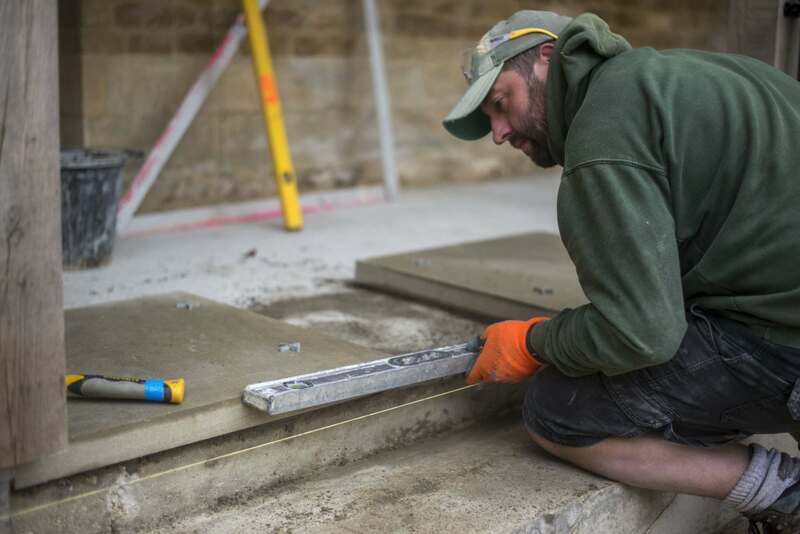 Our portfolio includes many forms of paving, dry-stone walling and retaining walls, water features, timberwork and drainage. 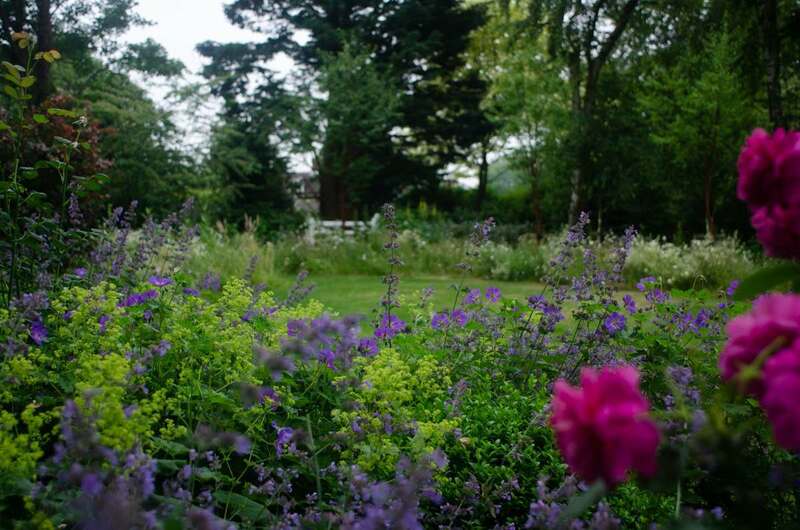 We can cater to suit the needs of your landscape. Nicholsons have been building quality gardens for over twenty years – celebrating craftsmanship and excellent horticultural knowledge. 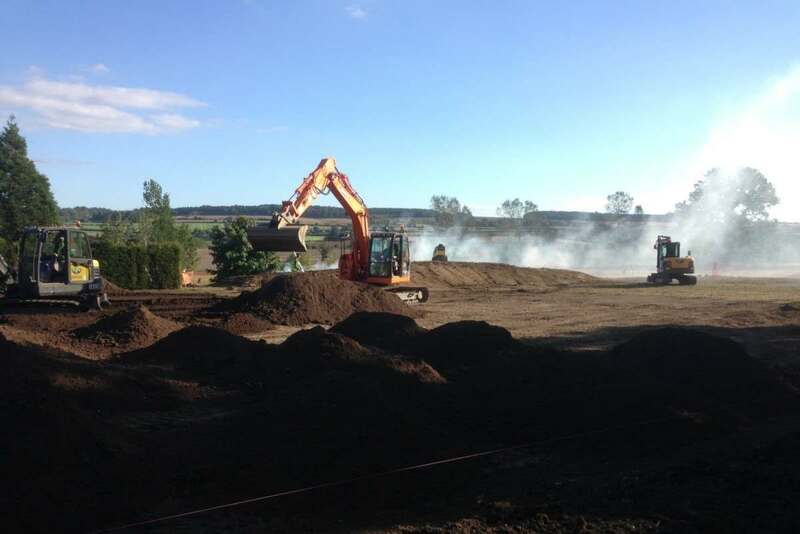 Nicholsons provide a full range of earthwork services. Our operators are highly skilled and always put safety first. We have highly skilled teams of talented craftsmen working with the best materials to deliver quality projects every time. Terraces, walls, pools and tennis courts; we cater for all of your hard landscaping needs. 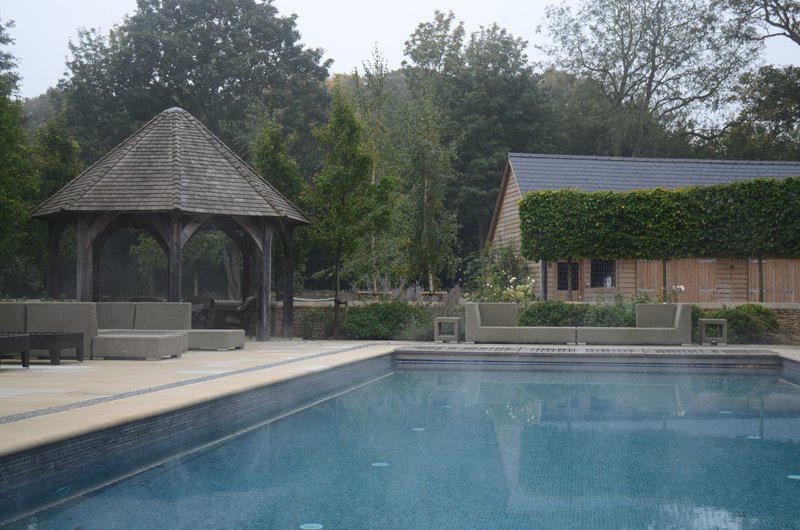 Attending to the detail and style from a design point of view, our project managers will work with specialists to deliver excellent pools and tennis courts as part of your project. Our passionate horticulturists and excellent quality control of plant material ensures first-class implementation of our planting schemes. From soil preparation and planting to installing irrigation systems, we offer a full soft landscaping service. 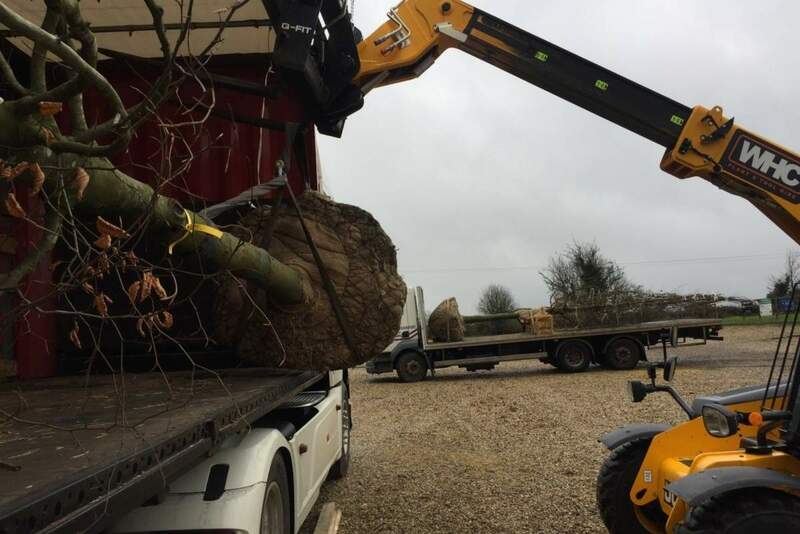 Our team work with the utmost care to ensure that the specimen trees you have chosen are placed perfectly. 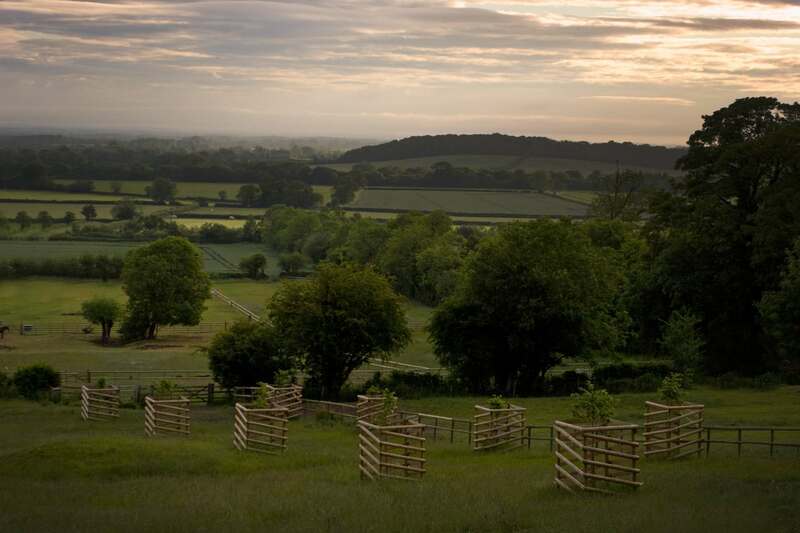 The wider landscape is considered vital in our industry and for this reason, we plan out parkland planting to ensure a natural finish and a celebration of the natural landscape. These works are now complete and we have a fantastic garden. Thank you. We have enjoyed the whole process of working with Nicholsons, from the design and pricing phase with David and Richard to the discussions during the build with Mat and the team. The team under Mat have done a fantastic job. Mat is a great leader and very comfortable dealing with the client while also getting the best from the team. He coped admirably with our strange questions and requests and our enthusiasm for but ignorance of gardens. He is communicative and attentive while also setting a great practical example on the ground to the team. The team themselves were a joy to have around. They were tidy and consistently hard working in often miserable conditions. On top of that, they were always prepared to listen to our requests and offer a smile when we stopped to enquire about things. I think you are lucky to have staff like Graham, Nick and Ash and Chris (who joined them for the final week).